Have you ever thought about how absurd the phrase “time management” is? I was just thinking about it and, as I am wont to do, was struck by the underlying semantic silliness of the what is to my mind yet another example of the ongoing corporatization of our lives. So, allow me to spend some time talking about time management. The word “management” carries a heavy load of hierarchical business-like connotations. When applied in an employment context, it makes sense. Businesses have employees, and it’s often in their best interests (that being those interests that facilitate profitability) to manage those employees to varying extents. Management in this sense implies hierarchy and a vertical distribution of power, with a disproportionately large amount of said power lying in the hands of those closest to the top. As a verb, “manage” has a few meanings: to control; to succeed in accomplishing something; to dominate or influence. There is an implication of mastery, of optimizing returns. From a purely semantic standpoint, this is an adversarial way of looking at things – constructs are reduced into two fundamentally different and opposing groups: the managers and the managed. Management becomes something that the manager does to the managed. In an employment scenario, this can either work really well, or incredibly poorly. So much depends on the few people doing the managing. But does it make sense to go around thinking we can actually manage our time? That we can assert our own mastery onto it and expect to have any sense of control? Of course not. If there’s one thing that we have absolutely no control over, it’s time. Unless we learn how to get people (and not neutrinos) to travel faster than light, we’re not going to be controlling time, well, any time soon. People drive themselves crazy trying to “manage” their time. As if all they have to do is try hard enough and somehow things will be easier. I can’t make time slow down, so I’ll just work faster! If I just schedule my day down to the minute, I’ll have complete management of my time! Well, let me be go ahead and say it: time is not your enemy. Nor is time your friend. It’s not really anything. Time is only a figment of our collective imagination – a construct we began applying to our existence in order to frame the world in a linear context. Time is not absolute, it’s relative – it depends on things. Time is an ad-hoc rationalization that makes sense only because we don’t know another way of quantifying the difference between something that’s happened, is happening, or might happen. In short, time is unmanageable because it doesn’t really exist. At least, not it the way that we think of it existing. So where does that leave us? 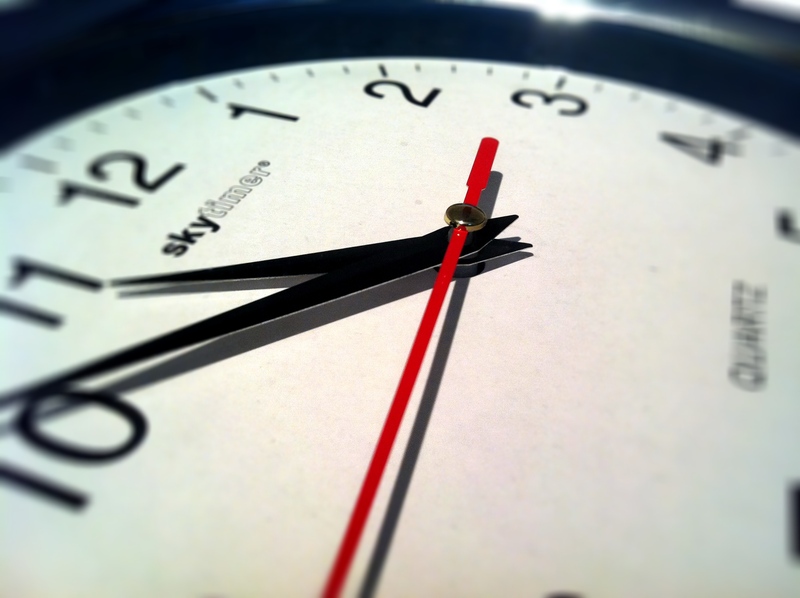 If the idea of managing time is fundamentally flawed, what’s a more accurate way of looking at it? Management is adversarial and reductionist in that it breaks things down into opposing oversimplified groups with solid boundaries separating them. What we want is something that reflects our powerlessness over time, while also acknowledging the fact that not all the things we do have equal value. So what about the idea of collaboration? Cooperation? Perhaps even contradiction? I’m not really sure – but I’ll be thinking about it this week. One thing’s for sure: there’s got to be a better model to describe the relationship between what we do and the time that elapses while we do it. Next week, I’ll share what I come up with as well as some practical suggestions as the demands on your time increase (did someone say “midterms”?). Time management is only a term that people usually use to replace a self management. Lot of article and book that has written about time management contain the tips and techniques to manage our selves. They usually contain about goal setting, prioritizing, scheduling and others, that all of them deal much with our self. If the time is could not manage that is true, but the techniques about time management teach us to have a right attitude how we treat the time. You may have an experience when you are in an urgent tasks you can do a hard and complex tasks in a short time, vice versa when you have an unimportant tasks you will find your tasks completion exceed to the time that you have. That where the time management is teach us.